I've told you before about my love for printables and how they are an easy and quick way to add a little punch to your holiday decor. 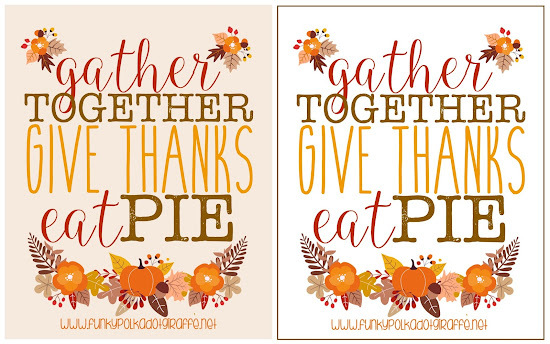 I even rounded up 25+ of the best Thanksgiving printables for you last week. 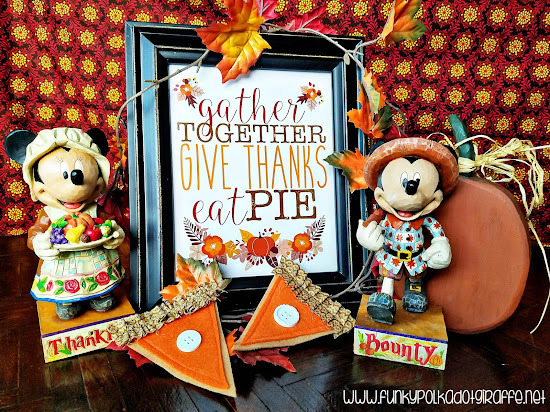 Then, I got in inspired and decided to make a Thanksgiving printable of my own to share with you!! I know some people print their printables at home, but I'm stingy with the color ink and so I usually print mine at Costco. My tricks for getting the best possible print quality at Costco are to print my printables LUSTRE and NOT GLOSSY. I don't like the sheen of the glossy and it looks more like a photo to me than a fine art piece :D Second, I make sure that just as I am checking out, I make sure that just as I am checking out, under PRINT OPTIONS, that I make sure that AUTOCORRECT is set to OFF. This way their machines don't try to auto adjust the colors of your prints to whatever factory setting they come with. This has really helped and I've always been please with how they've turned out. 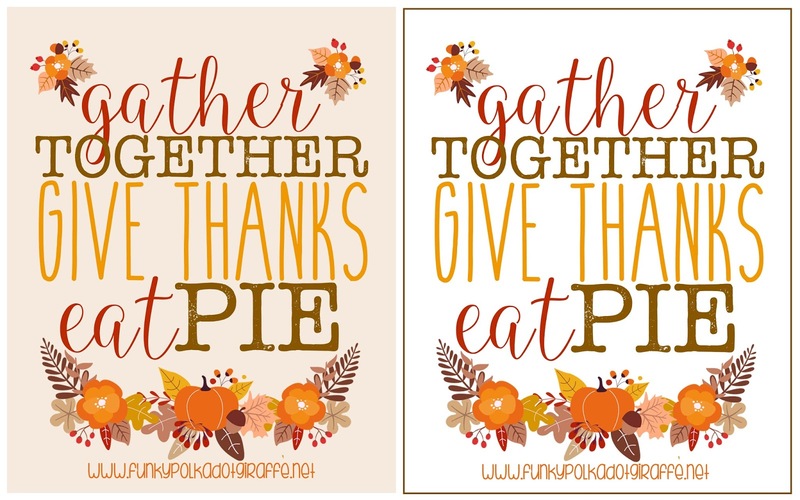 I saw this saying on a to go box to take a slice of pie home with you and I thought it would be perfect as an 8x10 print. 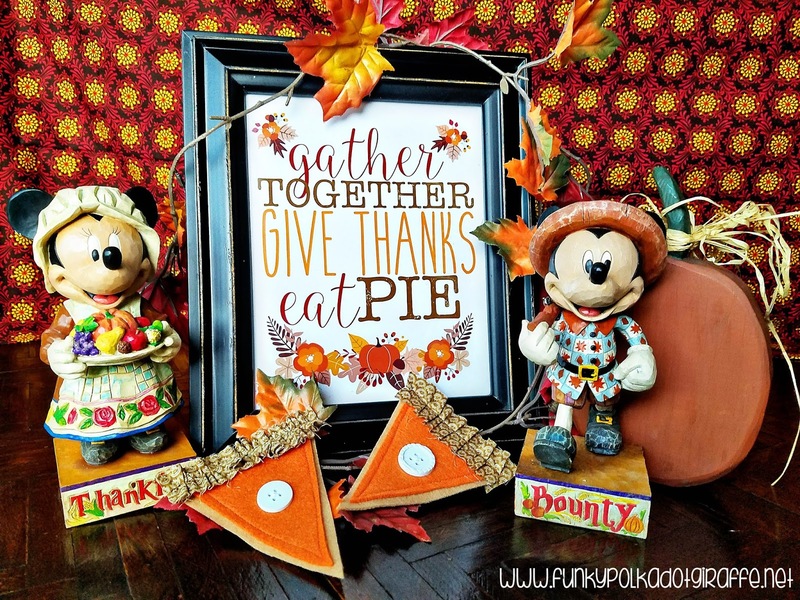 You can put it on your dessert table or just anywhere in your house that your Thanksgiving decor needs a little pumping up. I made it in two background colors - white and a light tan. I like how clean the white background looks, but Isabella said that the tan was more in line with Thanksgiving colors and decor, so I made that one too. 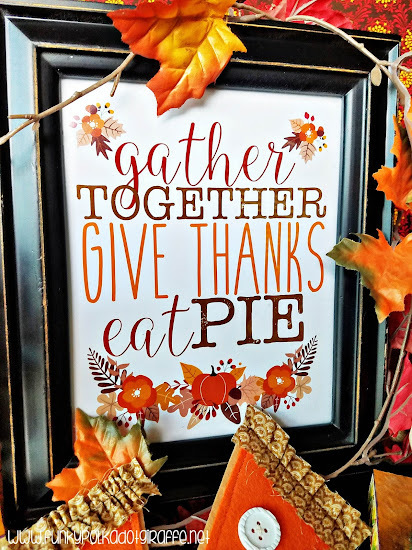 My favorite part of Thanksiving is really gathering together with those I love and celebrating how thankful I am for all of my many blessings. Plus, pie is an essential piece to Thanksgiving dinner, in whatever form you like your pie. 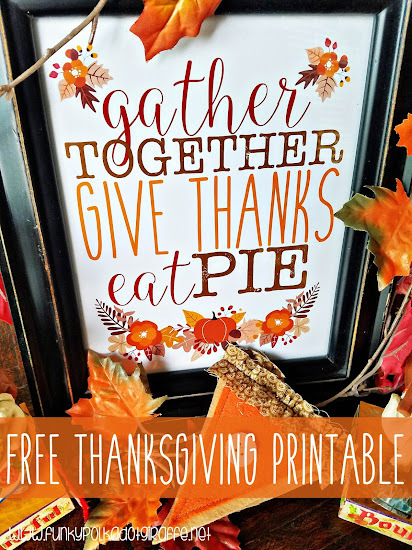 I hope you enjoy this printable and let me know if you use it! I'd love to see how you frame it up and display it!